A brand new way to manage, engage, and monetize trade shows. Boost exhibition sales, empower exhibitors with private portals, and create real ROI. It's time to take a load off and stop responding to endless calls and emails from exhibitors! PheedLoop offers each and every exhibitor their own private portals, which they can use to fully manage their event experience. 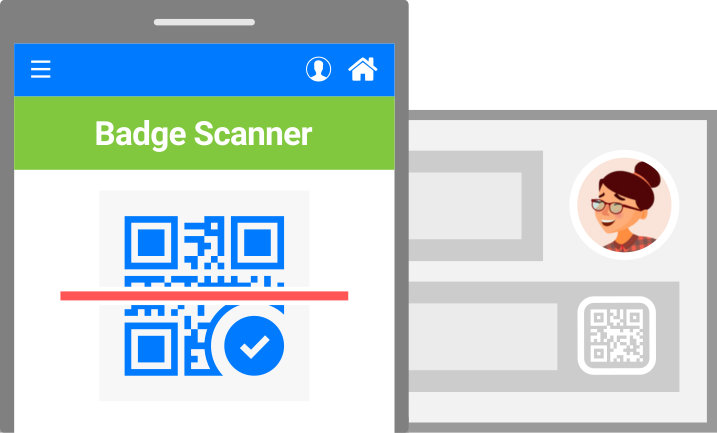 From managing their profiles, designs, and booth staff, to taking control of their contract, payments, collected leads, and badges, PheedLoop's exhibitor portals will completely change the way you run your shows. 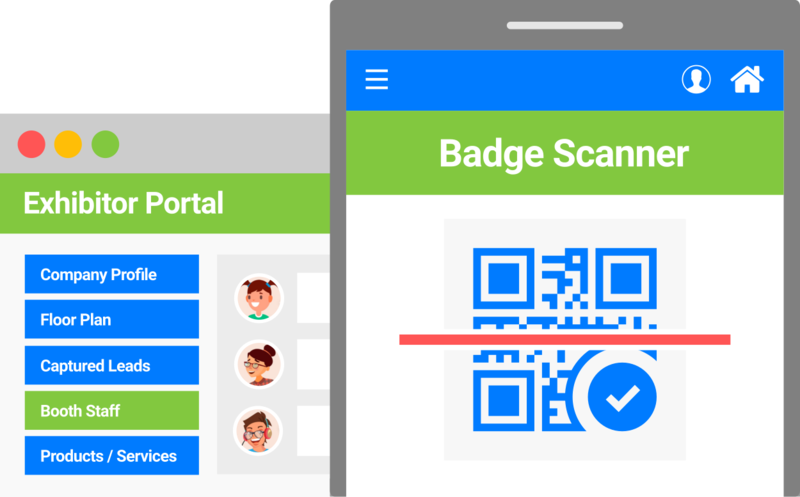 PheedLoop allows your exhibitors to capture leads by scanning badges generated by PheedLoop, directly from the mobile event app's built-in badge scanner. Exhibitors can even attach notes and pictures on the spot! And, you guessed it, every captured lead is available in real-time to review and track in the exhibitor's private portal, leading to a completely hands-off experience for you, the planner. Onboarding exhibitors with PheedLoop is not only a simple process, but it's designed to help you sell booths faster and gather detailed information about potential exhibitors before they even make the purchase. 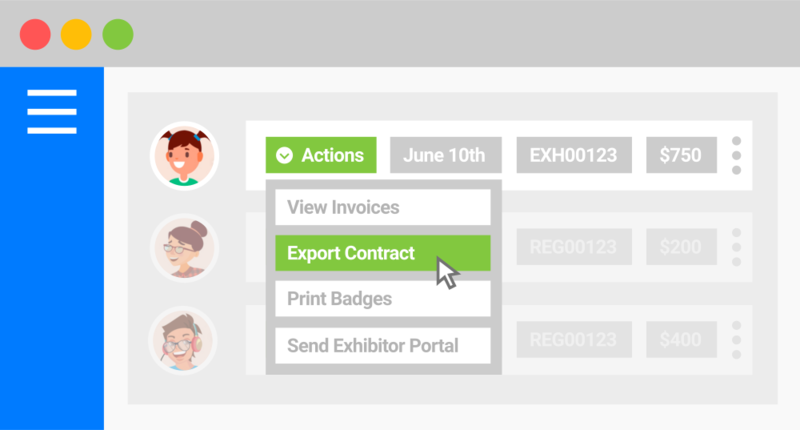 The entire contract and payment flow is simplified with PheedLoop, and every exhibitor is instantly granted their exhibitor portals where they can always review their contract, add products, and manage their staff's badges. How are exhibitors added to PheedLoop? There are three key methods to add speakers. First, speakers can be drawn directly from PheedLoop's exhibitor application system. Second, bulk data upload. Third, single entries. Can exhibitors add their staff? Yep, at any time they want to! Exhibitors can add/edit booth staff based on your limits, preview badges, share app access, and much more, minimizing your efforts as a planner. PheedLoop enables beautiful, interactive floor plans. Pan, zoom, and select booths to learn more about exhibitors, and ask our designers to help you create your floor plan! Are exhibitor portals mobile compatible? Yes, exhibitor portals can be accessed via any device, desktop, tablet or smartphone. We will soon be embedding exhibitor tools directly into the event app as well. Can exhibitors view their leads? 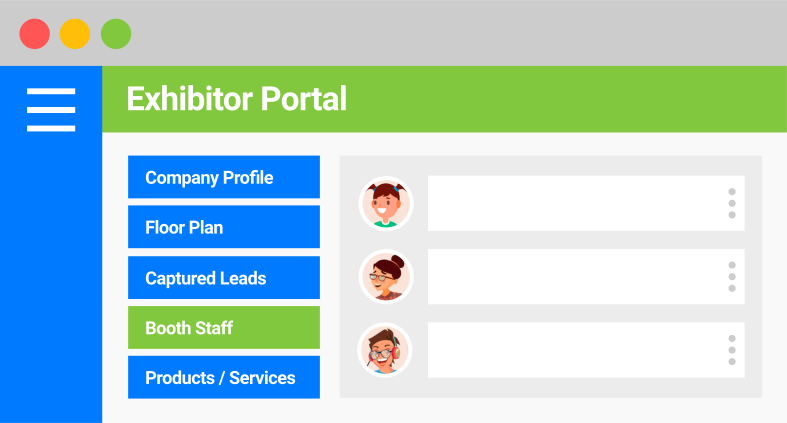 Absolutely, exhibitors can instantly review their captured leads, their contact information, and any notes connected to the capture, right from their exhibitor portals. Are printable contracts sent out? If you're using PheedLoop's contract management system, printable contracts are definitely sent with complete financial information, and any custom payment instructions. Yep! There are lots of opportunities to add co-exhibitors, including when exhibitors first submit their applications to exhibit. They can also edit co-exhibitor profiles via their portals. When are exhibitors sent their portals? When you're ready, exhibitor welcome emails (customizable) are sent out automatically. Depending on the exhibitor profile's completion status, they'll get reminders automatically.